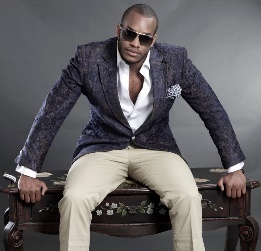 Chukie Edozien, known also as Lynxxx, is a Nigerian recording artist and CEO of Syndik8 Records. Born into a family of six, Lynxxx is the only son of Chief John D. Edozien, a former governor of old Bendel State in Nigeria and the first deputy governor of Delta state. He attended Corona Primary School, Kings College, Reading University and finally Hull University where he successfully gained a degree in Business, Economics and Marketing. After a decade of work in the music industry, Lynxxx released his debut album ‘This Is Lynxxx’ establishing a music genre known as Jollof Music. Lynxxx described this genre as “"an artful blend of music to create great music”, a genre incorporating urban hip- hop, contemporary R&B, and infusions of funky house. His music career has earned him several accolades inside and outside Africa including the South-South Music Awards, City People Most Stylish Artiste, and FAB Award. Lynxxx then become the first African brand ambassador for soft drink giant: Pepsi, and later the ambassador of telecoms giant Globacom.